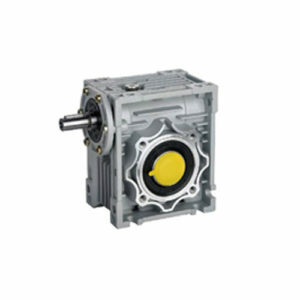 TQG worm reducer can achieve large output torque. 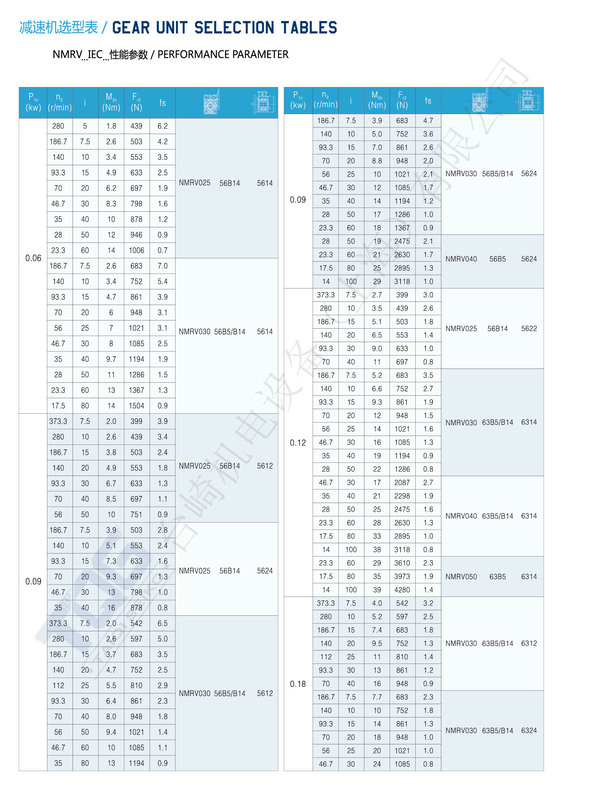 Small volume of NMRV series help to save mounting space. 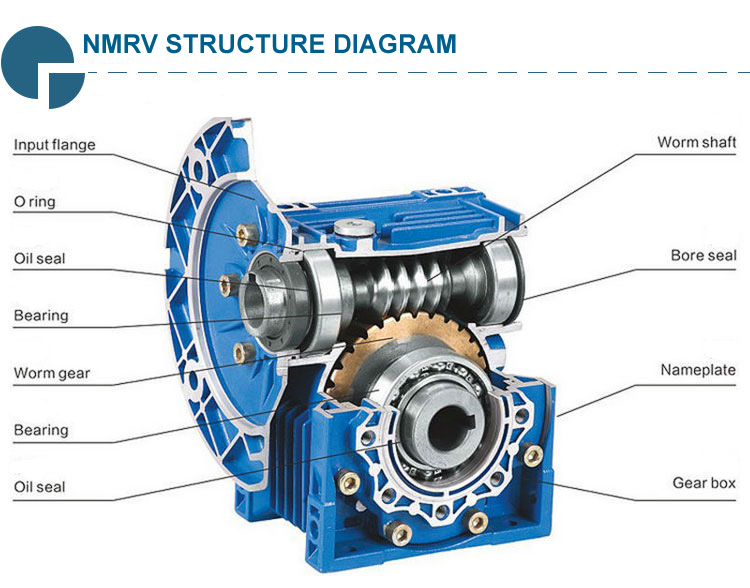 NMRV Worm Gear Motor features with low noise and little vibration. 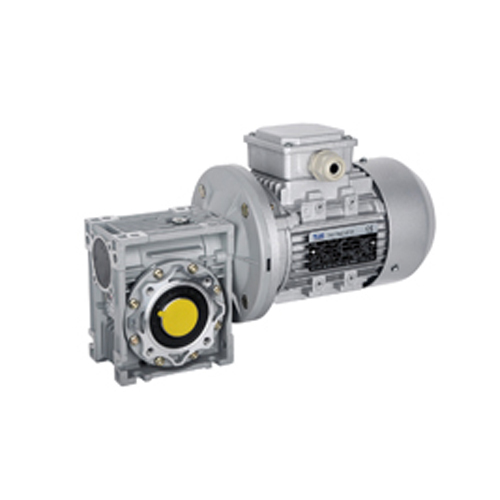 High efficiency and high mechanical strength are the main features of our worm reducer. 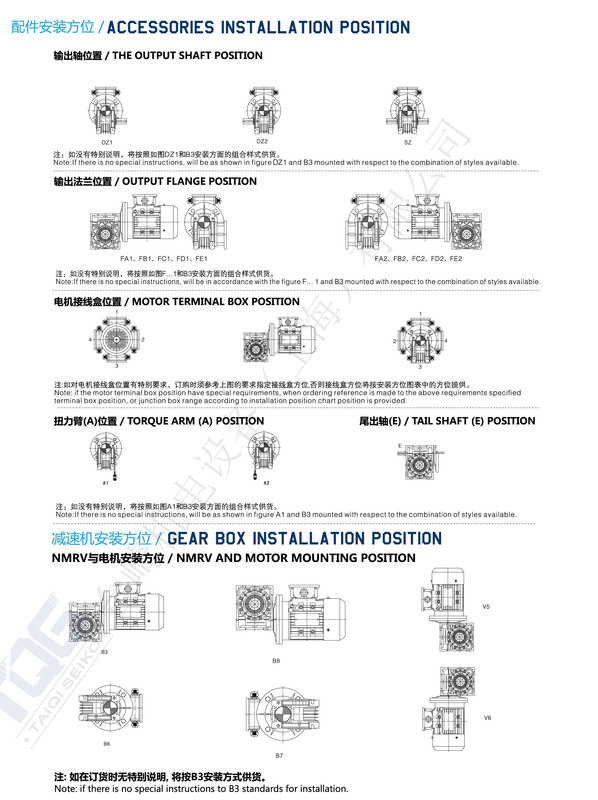 NMRV Worm Gear Motor is made of high quality aluminum alloy. 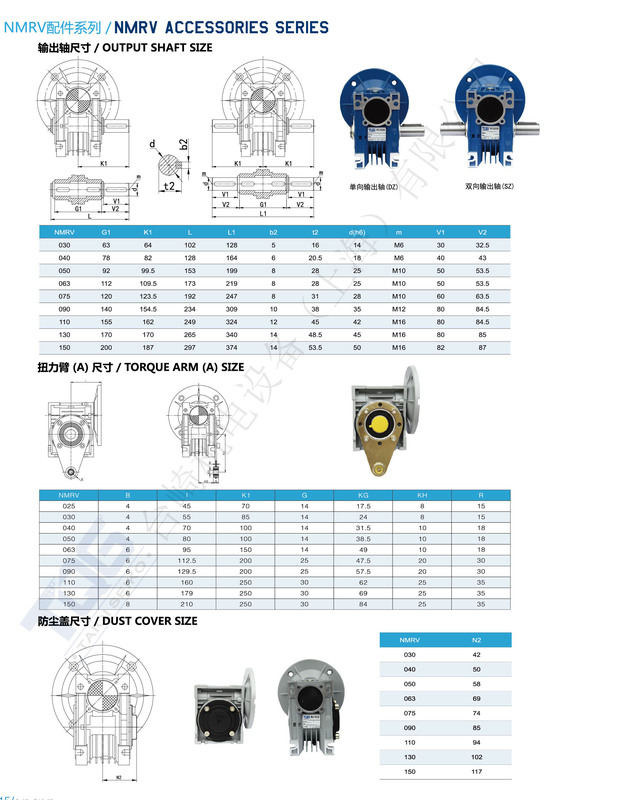 Taiqi seiko worm reducer adapts to omni bearing installation, it is easy to connect with other machinery. 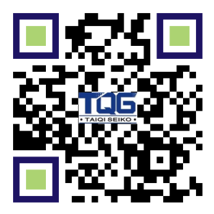 The TQG NMRV worm gear motor is a specific gear composition in which a screw (worm) meshes with a gear/wheel similar to a spur gear. 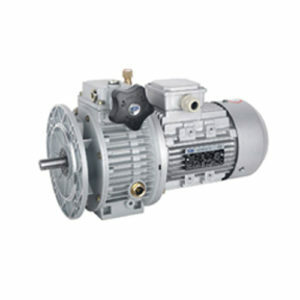 The set-up allows the user to determine rotational speed and also allows for higher torque to be transmitted. 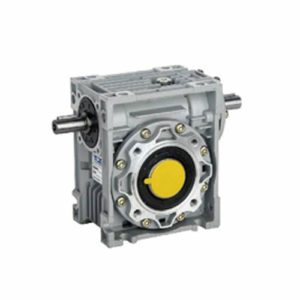 This mechanism can be found in heavy machinery. 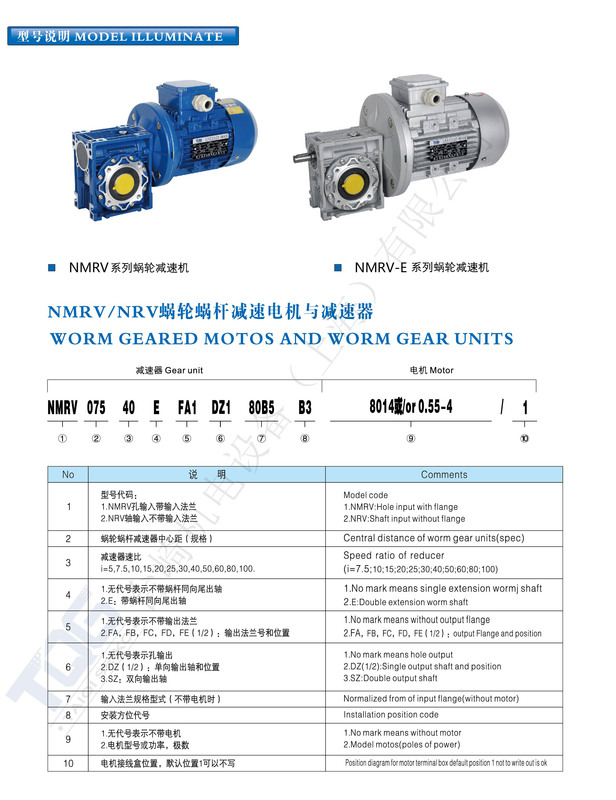 The NMRV worm gear motor is made of high-quality aluminum alloy, with the features of light weight and not easy to rust. 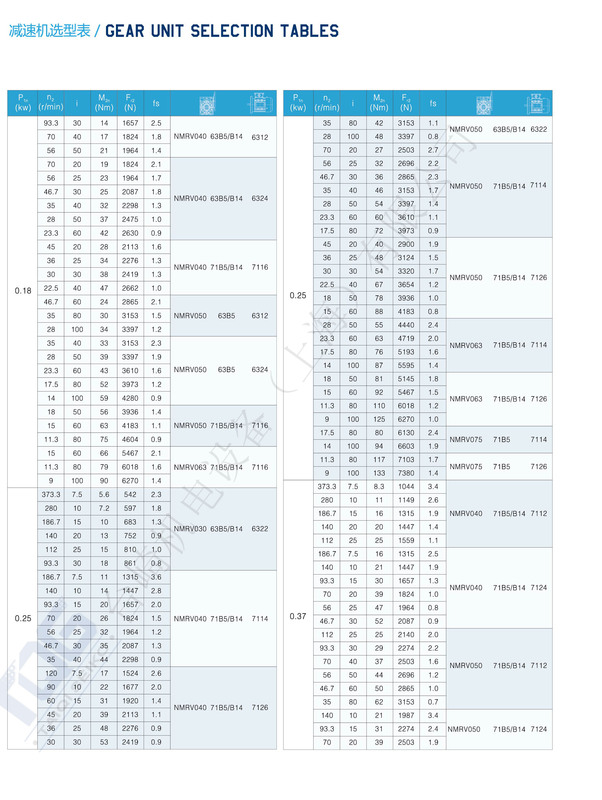 Due to the NMRV series running smoothly and low in noise, it is suitable to long time work in bad environment. 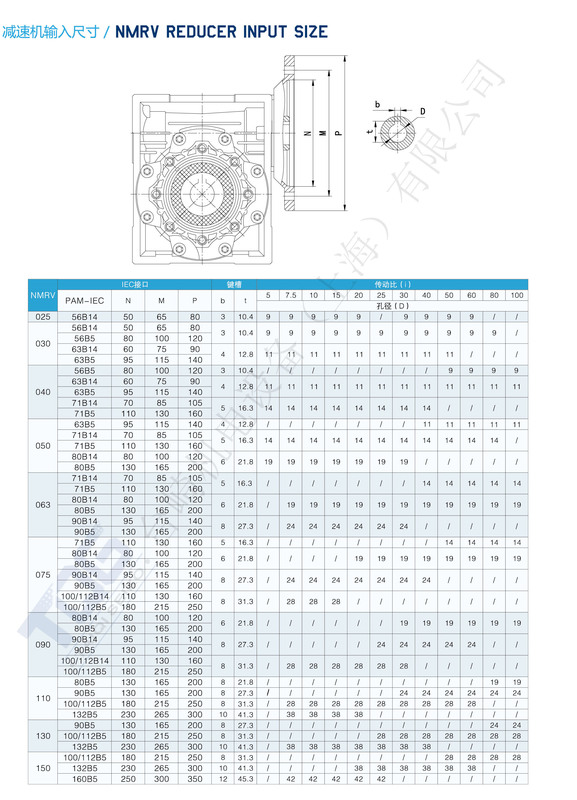 Worm: 20Cr, carbonize & quencher heat treatment make the hardness of gear’s surface up to 56-62HRC, retain carburation layer’s thickness between 0.3 and 0.5mm after precise grinding. Worm wheel: wearable stannum bronze alloy. First of all, the shell through surface pellet blasting treatment, and then through special anti-corrosion treatment, to maintain the sense of silver white metal, and through the corrosion treatment of gasoline, xylene and other organic solvents. After phosphating treatment, spray RAL5010 blue or white paint in the shell. Cast iron shell: spray red anti-rust paint, then spray blue RAL5010 paint in the shell.